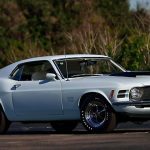 The 1969-’70 Ford Mustang Boss 429 is a rare, collectible bird in and of itself. 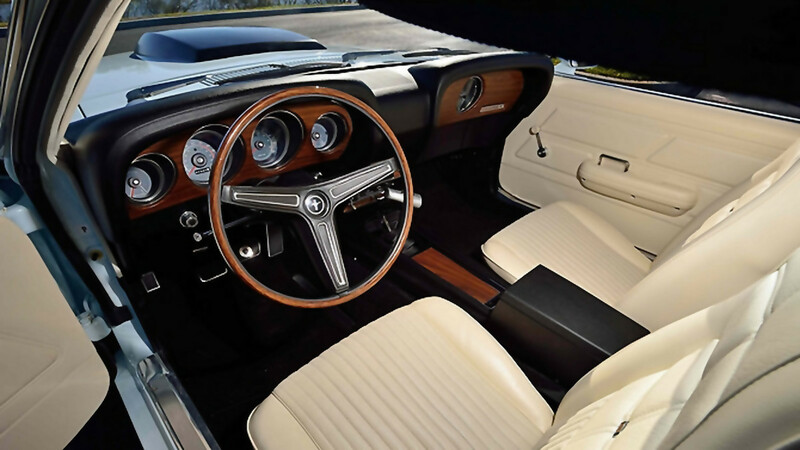 A few more than 1,300 examples were ever built, with 500 or so being sold for the 1970 model year. Of those, only 18 were shod in the same “Pastel Blue” shade as the car pictured above, and of those 18, just two were optioned with white interior trim. 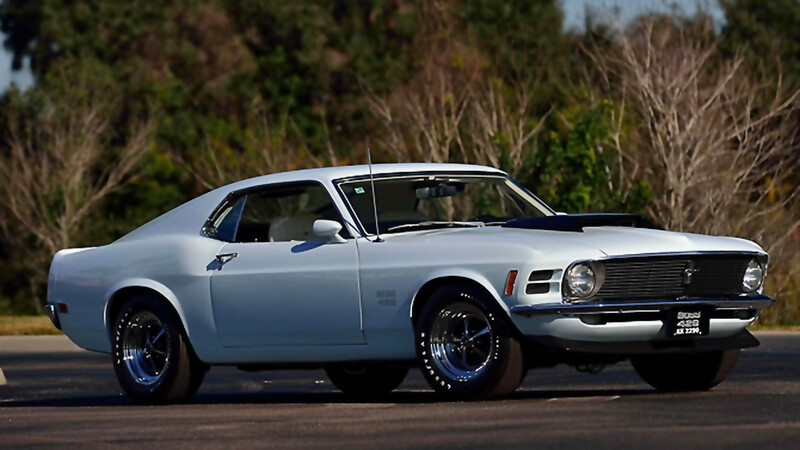 This is one of those two Ford Mustang Boss 429s. A true collector might delight to know that this very Pastel Blue 1970 Ford Mustang Boss 429 is headed for the auction block this May, courtesy of Mecum Auctions‘ Minneapolis event. 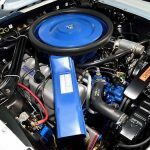 This car received a full Concours restoration as recently as 2008, carried out by Michigan Boss 429 specialist Martin Euler, and boasts a fully-rebuilt 429 cubic-inch V8 with a matching numbers 4-speed transmission and rear-end. So, how did such a uniquely rare special-edition Ford Mustang ever come into being? 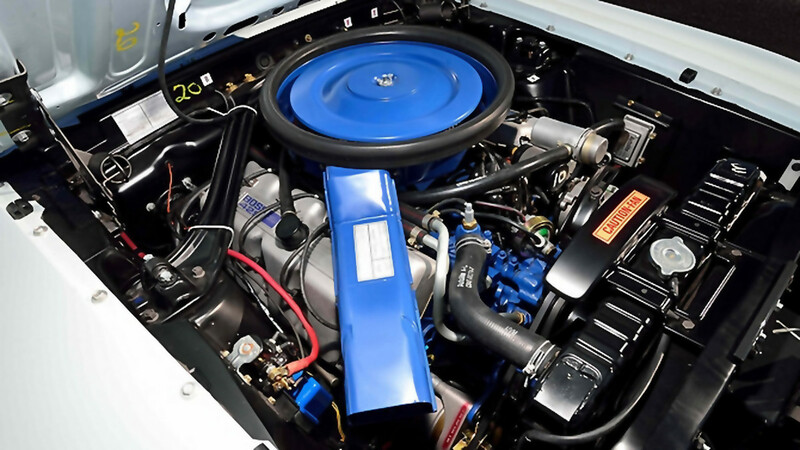 According to the Mecum Auctions listing, the original owner was a 19 year-old girl whose father bought it for her new as a high school graduation present. 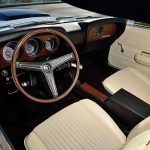 Being a car enthusiast, the father was adamant that the car be a Ford Mustang Boss 429; the unique-taste paint and interior colors were up to her. What color number?and where did you get the paint from?